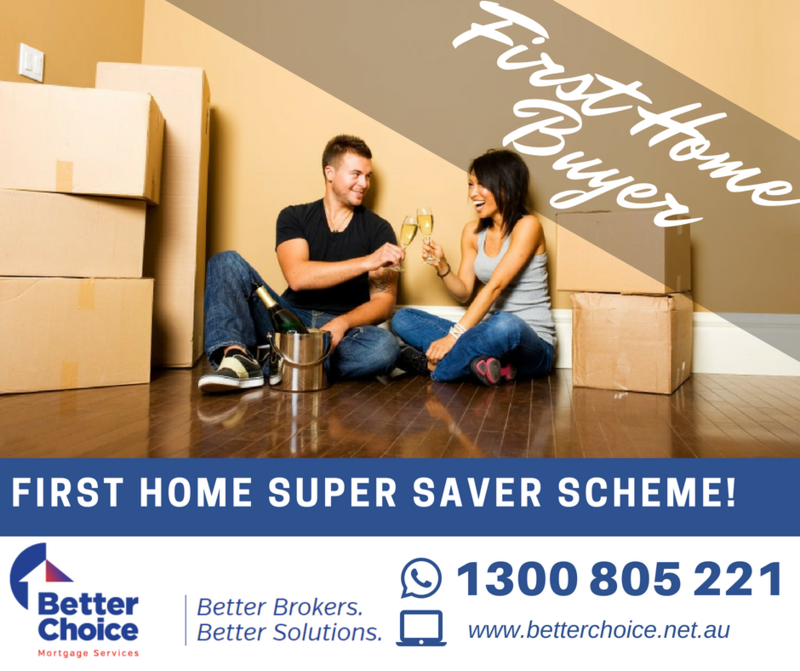 The First Home Super Saver (FHSS scheme) was introduced by the Australian Government in the Federal Budget 2017–18 to reduce pressure on housing affordability. From 1 July 2018 you can then apply to release your voluntary contributions, along with associated earnings, to help you purchase your first home. You must meet the eligibility requirements to apply for the release of these amounts. you either live or intend to live in the premises you are buying as soon as practicable. you intend to live in the property for at least six months of the first 12 months you own it, after it is practical to move in. You can apply to have a maximum of $15,000 of your voluntary contributions from any one financial year included in your eligible contributions to be released under the FHSS scheme, up to a total of $30,000 contributions across all years. You will also receive an amount of earnings that relate to those contributions. have not previously requested the Commissioner to issue a FHSS release authority in relation to the scheme. You may still be eligible even if you have previously owned property in Australia, if the Commissioner of Taxation determines that you have suffered a financial hardship that resulted in a loss of ownership of a property. Regulations are expected to be available just prior to 1 July 2018 specifying the circumstances for this provision. If you want to be considered under the financial hardship provision you can apply from 1 July 2018. You should apply before you start saving, so that we can determine if the hardship provision applies to you. Your application under the financial hardship provision must be supported by evidence that demonstrates the link between the loss of the property and the hardship event. Check that your nominated super fund/s will release the money. Ask your fund about any fees, charges and insurance implications that may apply. Voluntary concessional contributions – including salary sacrifice amounts or contributions for which a tax deduction has been claimed. These are taxed at 15%. Voluntary non-concessional contributions that you have made – these are made after tax or where a tax deduction has not been claimed. You can contribute up to your existing superannuation contribution caps. Having amounts released under the FHSS scheme does not affect the calculation of your concessional or non-concessional contributions for contributions cap purposes. Your contributions still count towards your contribution caps for the year they were originally made. These ‘ordering rules’ are designed to maximise the amount available to you for release, without requiring you to make specific elections about which contributions should be eligible. They also have a flow-on effect on the calculation of associated earnings and the taxation of released amounts. The Australian Government will apply ordering rules when you apply for a FHSS determination to calculate your FHSS maximum release amount. You don’t have to do the calculations yourself. Where you make your contributions within a financial year and you claim a deduction for some or all of the contributions, the resulting eligible non-concessional contributions (if any) are taken to be made before any eligible concessional contribution. You can check your balance with your super fund/s at any time to see how much you have saved. This will help you keep track of the maximum FHSS amounts you can have released. You will be able to apply from 1 July 2018. You can apply online using your myGov account linked to the ATO. Note: The Australian Government must have released an FHSS amount to you before you sign a contract to purchase or construct residential premises or you may be liable to pay FHSS tax. To withdraw your voluntary super contributions under the FHSS scheme, you need to request a FHSS determination from the Commissioner of Taxation. You can do this from 1 July 2018. You can request a release of the FHSS maximum release amount stated in the FHSS determination, or choose a lower amount. It will take the Australian Government approximately 12 business days to process your request. Note: Once you have requested a release you can’t request another one, even if you have requested an amount less than your FHSS maximum release amount. The ATO will issue a release authority to your super fund/s and your fund/s will then send the requested release amounts to the Australian Government. send the balance of the released amount to you. A payment summary will subsequently be sent to you. The amount of tax withheld is calculated on your assessable FHSS released amounts and will help you meet your end of year tax liabilities. When you lodge your tax return they will know your actual marginal tax rate for the year that you requested the release and will recalculate your tax liability on the released amount.They will take into account the tax that has already been withheld in respect of your assessable FHSS released amount, together with the 30% tax offset. However, where you have or intend to purchase a vacant block of land to build a home on, it is the contract to construct your home that must be entered into within the 12 months (or an extended period) after the release of amounts to you. keep the released amount and be subject to a FHSS tax. This is a flat tax equal to 20% of your assessable FHSS released amounts and not the total amount released. 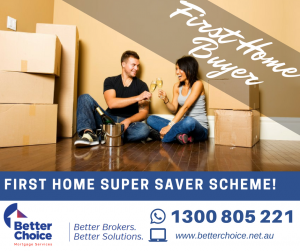 You must notify the ATO if you either sign a contract to purchase or construct a home, or recontribute the amount into your super fund or you will be subject to the FHSS tax. You can make this notification from 1 July 2018. Originally by the Australian Government, for more information head over to their website by clicking here .